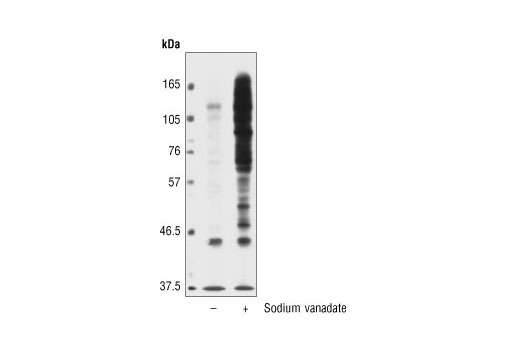 Western blot analysis of extracts from sodium vanadate treated (3 mM for 0.5 hour) NIH/3T3 cells, using Phospho-Tyrosine Mouse mAb (P-Tyr-102). Western blot analysis of extracts from Jurkat cells treated with 1 mM pervanadate for 30 minutes prior to lysis. Proteins were separated by 2D electrophoresis prior to blotting. 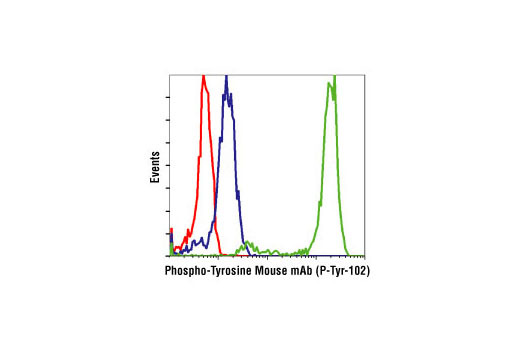 Flow cytometric analysis of NIH/3T3 cells, untreated (blue) or pervanadate-treated (green), using Phospho-Tyrosine Mouse mAb (P-Tyr-102) compared with a nonspecific negative control antibody (red). 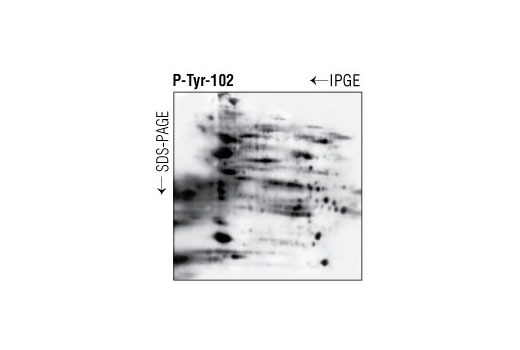 Phospho-Tyrosine Mouse mAb (P-Tyr-102) is a high affinity IgG1 monoclonal antibody. 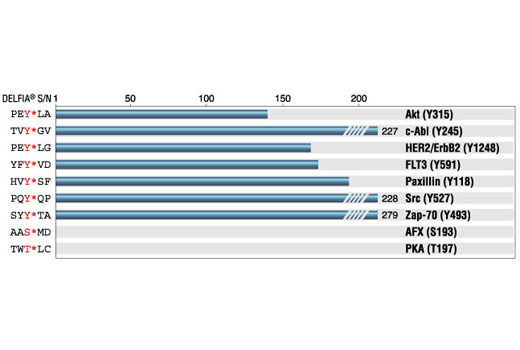 ELISAs using a wide variety of phospho-peptides show that P-Tyr-102 binds phospho-Tyr in a manner largely independent of the surrounding amino acid sequence. Monoclonal antibody is produced by immunizing animals with synthetic phospho-Tyr-containing peptides.